Drinks at the Ritz followed by pizza in Mayfair. Heading out for the evening. In the Rivoli Bar at the Ritz, with a Ritz 100 cocktail, which contains gold leaf. Chie on the steps of the Ritz. Me on the steps of the Ritz. 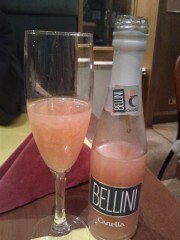 Now at Delfino's in Mayfair. 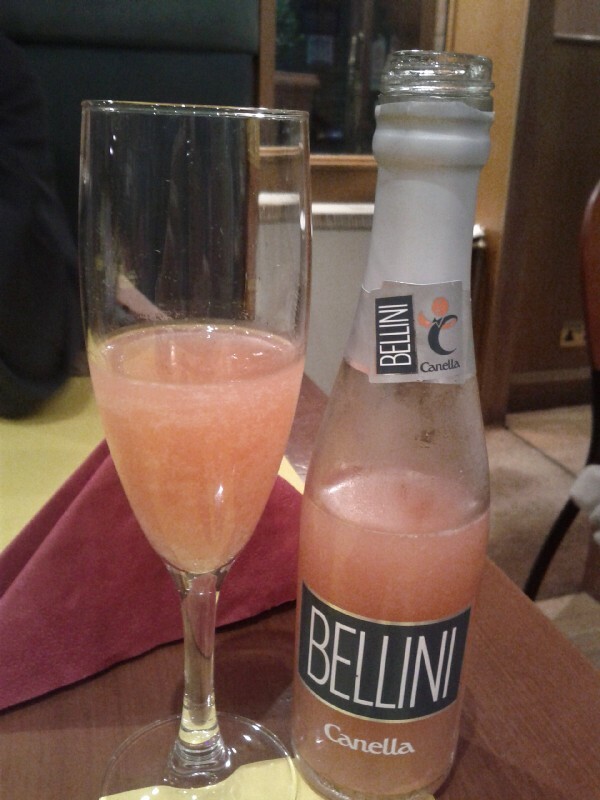 A bellini in a bottle. 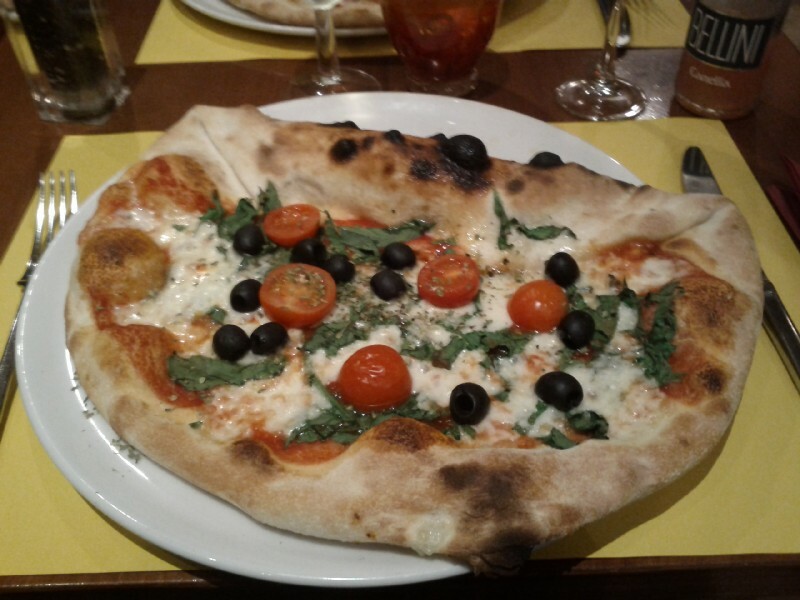 My "prati e monti" (plains and mountains) pizza. Sort of a cross between a normal pizza and a calzone. Me and my pizza. I think this is the first time I've eaten pizza wearing a suit. Rather nicely illuminated at night. A bit late for Halloween. One last drink at the Berkeley Hotel on the way home. Chie also showed me this rather nice tiled corridor leading from Victoria station to the Thistle Hotel.